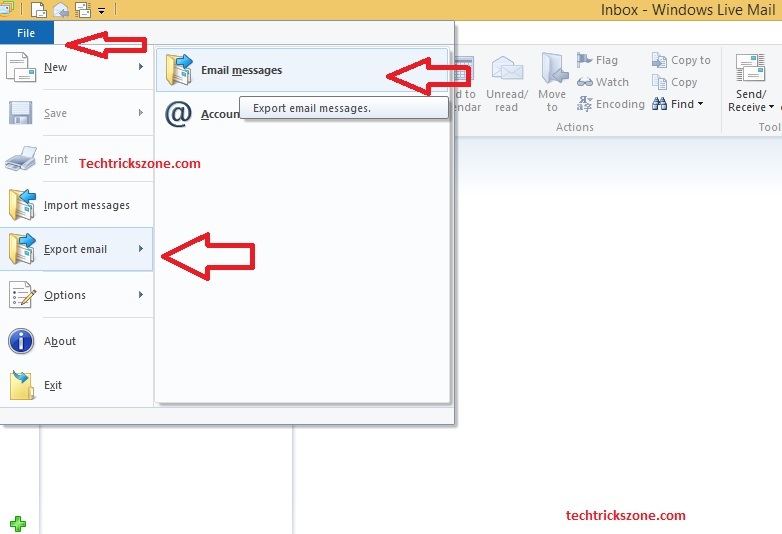 How to Back up Emails, Contacts, in All Outlook versions. 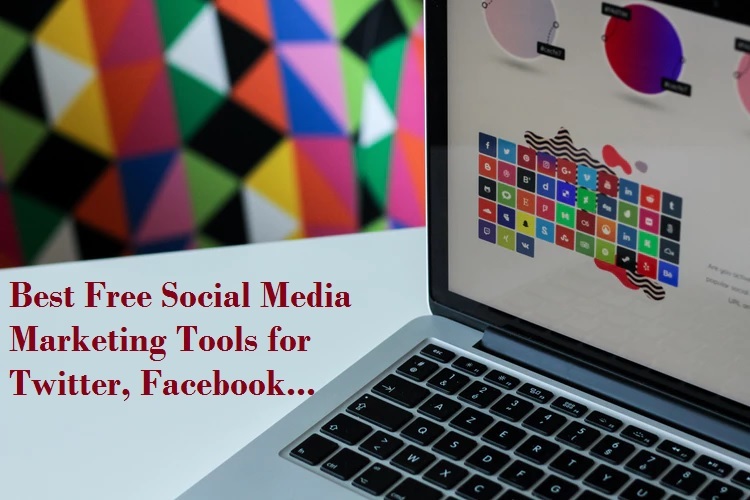 Best and most popular email client used by all over the world is outlook. Most common and important platform for communicating and making the business commitment in the industry is email. So every small and large industry and personal works using emails. Using email directly in web server required internet even if you want to work offline so email client gives you the option to work offline with saved emails in the computer. Using email and making safe always recommended regularly backup your outlook and any email clients to avoid data loss. So in this post, we will briefly teach how to backup your saved email in outlook and win live mail. Why is Email Client Required? Backup Win Live mail and contacts because Mail is very important today for every small, medium and enterprises level industry because today every deal and commitment depend and confirm only with Emails but sometimes this simple thing make big problem when we lost our mail backup and feel like erase mind memory and nothing remember with whom we committed and what we get commitment from. 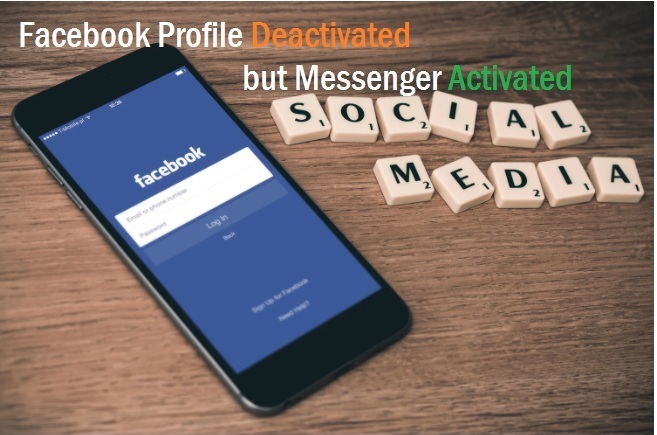 So every company uses the mail client like Outlook Express, MS Office Mail, Lotus and other many more mail client software because mail client let you download all mail from server to your computer and you can also access mail when no internet connection available and locally manage your mail backup. 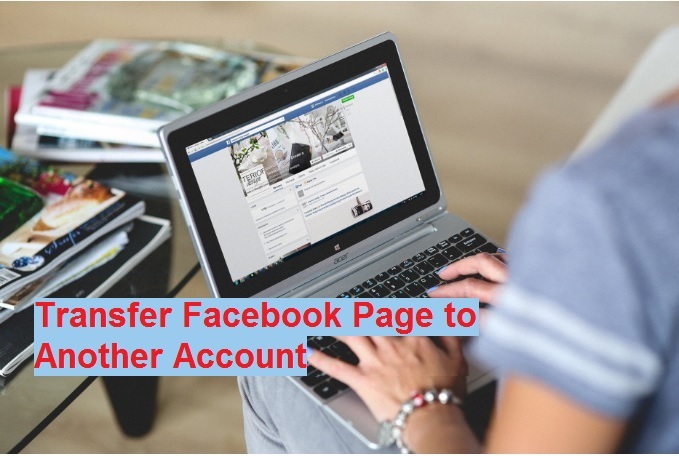 But it’s getting difficult when computer gets corrupted and we lost all emails from our computer to make it 0% chance to lost your emails from computer you should take all your mail backup periodically .if you do not know how to take backup mail from mail client so this post very useful for you can see step by step how you can backup your Win Live Mail backup even when you have configured multi-email account. You can take export all mail account at once. 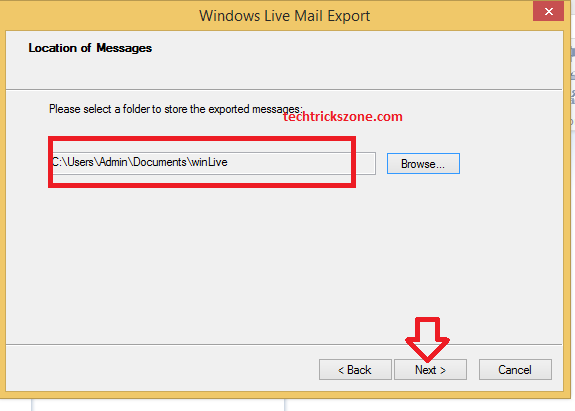 Export Win Live Mail 2012 Mail Account and Messages! 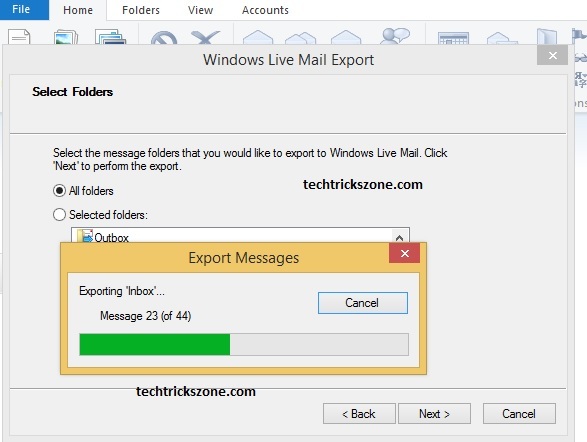 Save emails copy in other folder called data backup and it’s always kept our email lost free.MS outlook and any email client like lotus, outlook express and win live mail gives you Export option to save your email copy to any other folder selected by you. Go to file option in the left side menu and select Export Email after choose Email messages. see given image for same. In next window, you will get two options for choosing Email backup mail type. This steps you have to choose a folder where you want to save email backup copy in your drive. Do not use C drive for save backup email copy it can be lost if windows corrupted or format. Select Folder in D , E or any other drive expect C drive. Click OK to confirm setting for the move to next windows. 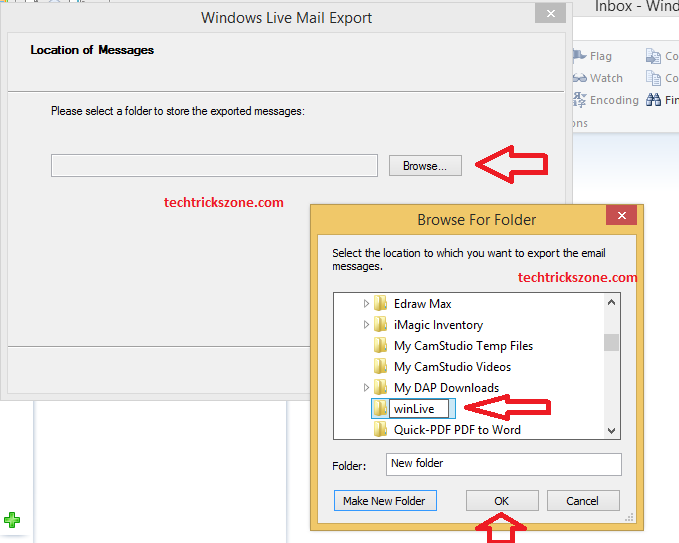 Exporting Email Process from Email Client to Destination Folder! In this steps, you can choose email backup option if you wish to backup only selected folder like Inbox sent .If you want to backup complete email than choose All folder option and click next button. Wait for processing finish on windows. Backup you email regularly is the good habit and keep your data save always. 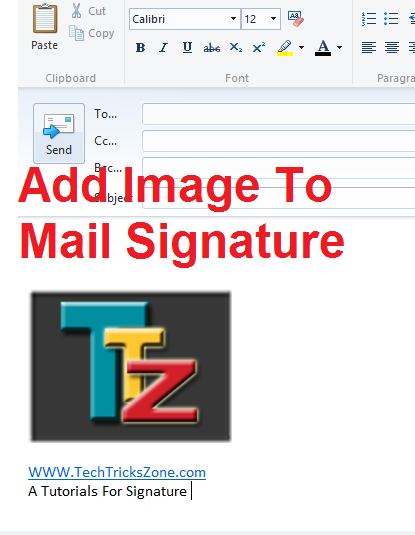 If your ost of work done with email only than you have to learn how to backup your email form outlook and win live mail. In this post, we try to give you best and easy tutorials for save your email copy in any other drive. 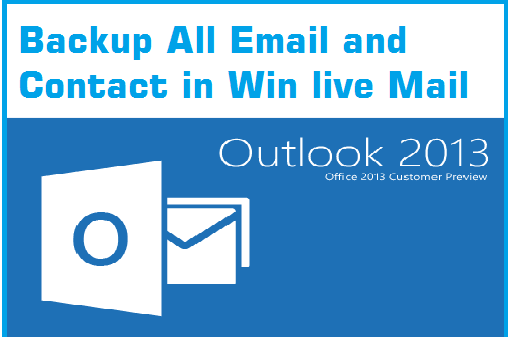 After backup email question is how to import backup email in win live mail and ms outlook. 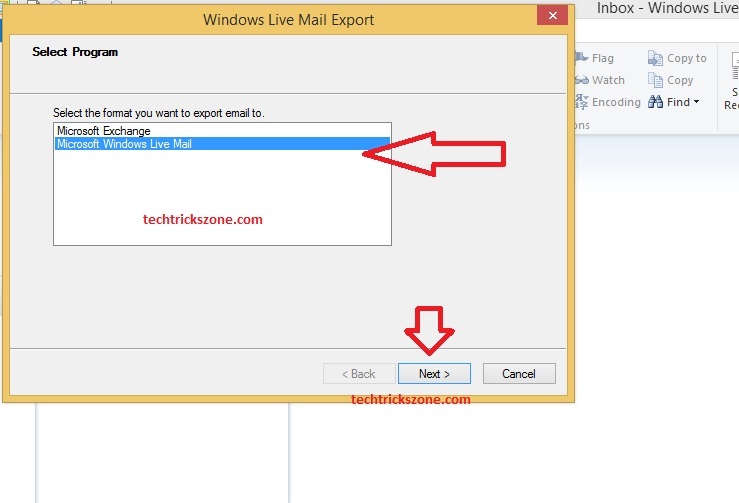 See the complete tutorial for how to import email from ms outlook and win live mails. How to clear internet cookie and browsing history from any browser ?